Having a website is not just something the “big boys” have but a very important part of the marketing plan for any small business who wants to succeed. Just having a website for the sake of having a website will not suffice either so it is important to not make the below small business website mistakes. A call-to-action is a button or link that you place on your website that a potential customer clicks on to become a lead by filling out a form on a landing page. The whole idea for your website is to market your business to potential customers and for them to become customers by purchasing your products and/or services. If you have no means of capturing information of potential customers, the chances of them actually becoming customers are slim. They say to “never judge a book by its cover”. Unfortunately, this is not the case when it comes to your website. Most of the time your website is the first point of contact a potential customer will have with your company which makes it vital that the first impression is a pleasant one. If you have a poorly designed website that is not aesthetically pleasing to the eye, your potential customer will close your website and go somewhere else. Simple as that. You most probably started your business because you have a skill that you are a master at. Maintaining your own website is not something you necessarily know how to do well. When you maintain your own website, you run the risk of wasting time which could have been used to improve your business. Besides that, as with anything involving technology, every now and again something goes wrong which you won’t know how to resolve. How do you know if what you are doing on your website is actually working or not? With metrics, you are able to track your progress, your reach, the number of visitors within a given time frame, your most visited pages even whether they are viewing your website from a desktop computer or a mobile device. SEO (Search Engine Optimisation) is used to help search engines understand what your website is all about and in turn to display your website to potential customers in search results who are looking for the type of products and/or services you are offering. By using relevant keywords, descriptions and page titles, your site can stand out among the rest. We live in a society where people make use of social media every day. It is important that you provide the ability for your customers to share their experiences with your business via social media. This, in turn, enables information about your business to reach people you might not have otherwise have targeted. 54% of Facebook users access the service only on mobile devices (source). It is extremely important that your website is optimised for small screens in order for you to serve the growing potential customer market that is going to search for your products and/or services using their mobile device. As soon as they arrive on your website and they have to zoom in constantly to be able to see what is going on, they will go somewhere else. Unfortunately, websites can get hacked and without designated IT help, small businesses run the risk of security breaches or costly mistakes. Going to a professional will provide peace of mind that you don’t have to have nightmares of all the things that can go wrong. Some companies make it extremely difficult for potential customers to contact them. Ensure that it is easy to get hold of your email address or contact number. It is standard to have a “Contact Us” link as part of your main navigation which includes all your contact information. An effective website is a very important part of any business that should not be neglected. If you have any questions that need to be answered, contact me and I will assist. 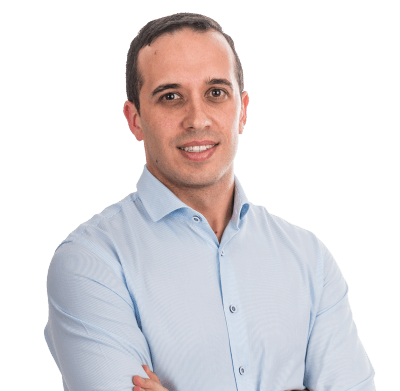 Hi, my name is Johan Gouws, founder and website consultant here at TeraWeb Design and I have been building websites for the past 10 years for small businesses to increase their online presence. I would like to talk to you about how we can achieve your business goals.